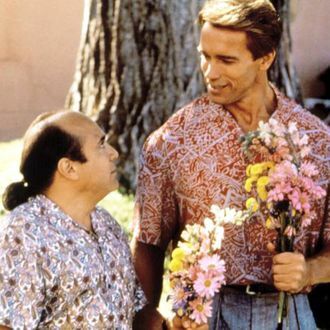 The Book of Mormon star Josh Gad and Ryan Dixon (who ”oversees operations at screenwriting analysis website ScriptShark”) are writing a treatment for that wacky Twins sequel Arnold Schwarzenegger and Danny DeVito have been tapped for, the one where Eddie Murphy is their long-lost triplet. After the treatment, Dixon will pen the script solo. Ivan Reitman, director of the original, is on board to produce.